During warm spring, summer, and fall days, Water Play the Children’s Garden is the coolest place to be! Bring or wear your bathing suit and water shoes to enjoy the gentle water sprays. Don’t forget a towel and remember that swimming diapers are required for those not potty-trained. 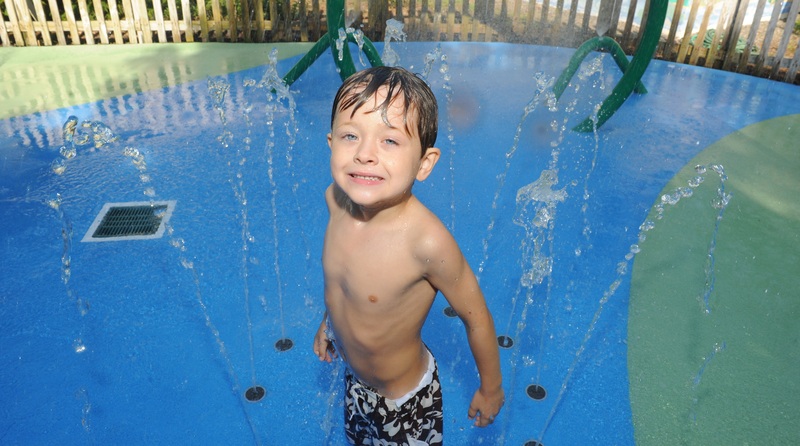 Water Play is operational when the air temperature is 70 degrees or higher. Schedule changes in spring, summer, fall and on weekends. Scroll down to see the full schedule. April 13 – Sept 29, 9 a.m. – 4:45 p.m.
Spring Hours: April 15 through June 7, 1 – 4:45 p.m.
Summer Hours: June 10 – Sept 13, 9 a.m. – 4:45 p.m.
Extended Hours for Flowers after 5, Thursdays, June – August; 5 – 8 p.m.